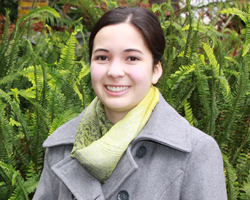 University of California Davis student Kathleen Martinez chose an exchange in New Zealand because of the unique ecosystems, beautiful landscapes and rich Maori heritage. Read more. Surrounded by diverse landscapes and located in the heart of New Zealand, the University of Waikato is one of New Zealand's most modern and innovative universities. We are home to more than 12,500 students including close to 2,000 international students from over 70 countries. Our Science and Engineering degree programmes are internationally recognised, our global connections are wide and strong, and we do everything to help our international students succeed. As a Study Abroad student you can enrol at the University of Waikato for one or two semesters and credit study to your home degree. You can apply privately, through a study abroad agency, or through your home institution, should that institution have a study abroad agreement with the University of Waikato. Field work is a major component in many science papers at Waikato University. Collecting samples, taking measurements and viewing nature first-hand all add up to create a largely hands-on learning environment. Back on campus you'll also spend a lot of time in the laboratories, working alongside academics who are leaders in their fields. 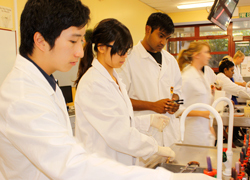 There are extensive paper options available within Science & Engineering at Waikato. When you make your selection, our course advisors will ensure that your choices meet the requirements of your degree, before you leave home. View our Handbooks online or check out the individual paper listings for papers in Biological Sciences, Chemistry, Earth Sciences, Electronics, Engineering, Environmental Sciences, Materials & Processing, Physics and Psychology. Volcanism is the fundamental geological process shaping our planet, one that provides abundant resources for society while also posing significant hazards. 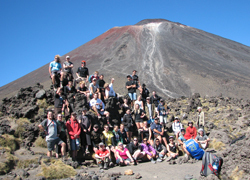 Join experts in their field, Dr Adrian Pittari and Dr Shaun Barker for this paper which includes a two-day field trip to Taupo and Tongariro, including the Tongariro Crossing, to examine some world-class volcanoes and volcanic deposits. Hamilton's central North Island location is ideal for exploring. Catch the waves at Mount Maunganui or Raglan, explore the idyllic bush and beaches of the Coromandel Peninsula, snowboard at Ruapehu, soak in the thermal waters in Rotorua or live it up in Auckland, New Zealand's largest city. All these locations and many more are within easy driving distance of the University of Waikato.